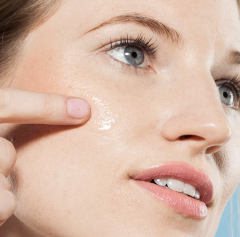 This moisturizer is perfect for stars! 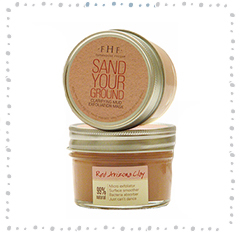 Creamy and hydrating, with a dewy finish for normal to dry skin. 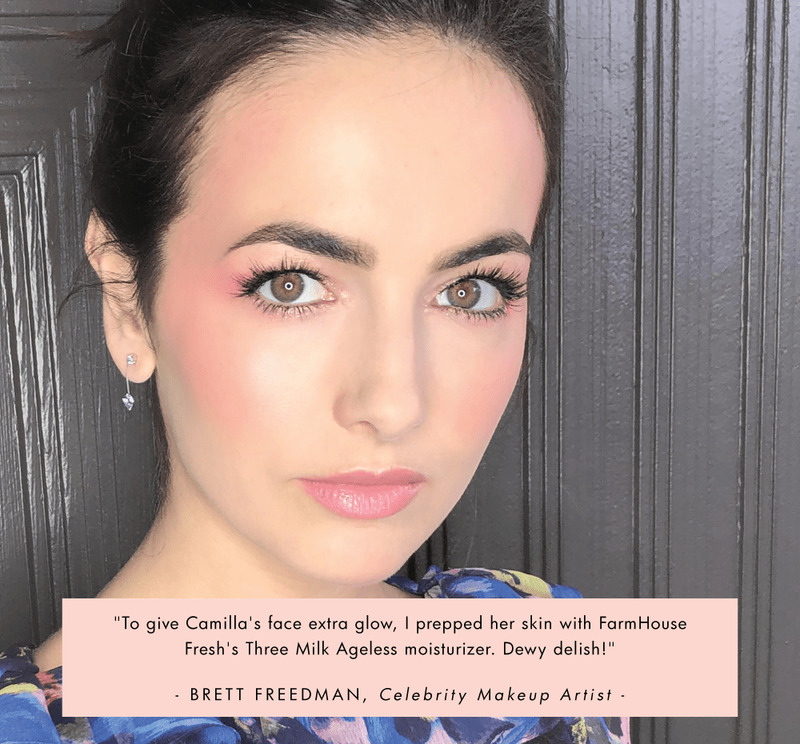 Celebrity makeup artist, Brett Freedman used Three Milk Moisturizer to add extra glow to actresses Camilla Belle�s and Jodie Foster�s complexions before their big events (check out the inset images). Advanced firming peptide, Coconut Milk, Milk Thistle, Milk Vetch, Panthenol (Provitamin B5), Vitamins A and E.
My favourite moisturizer I've had. This is my favourite moisturizer I've owned - and I've tried a lot from Sephora. Nope doesn't compare to this one. 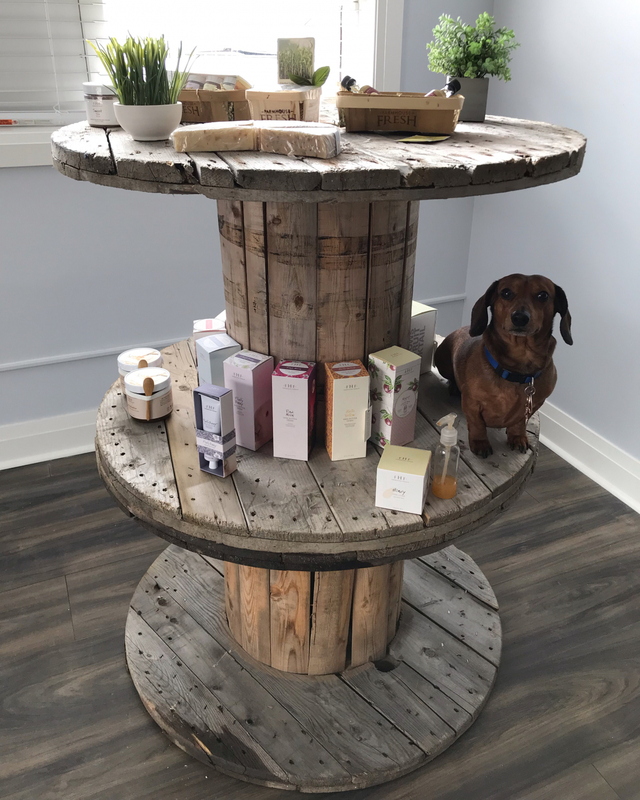 I'm used to gel-creams, but I've become SO insanely obsessed with Farmhouse Fresh that I wanted to entirely switch over all my products to this company. It's thicker than what I'm used to but I love it! It makes me feel so soft by the time I wake up the next morning and my face doesn't feel dry and flakey like I have with my other moisturizers from different companies. 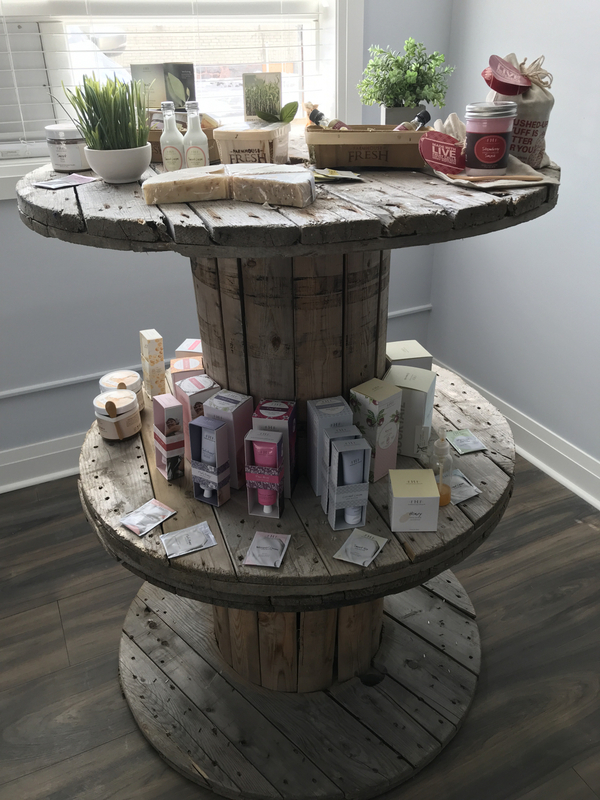 I even brought the company into my salon to use for facials and retail. I'll never go back elsewhere. I've had breakouts my entire adult life. At age 60, breakouts come and patches of dry skin are prevalent in other areas. 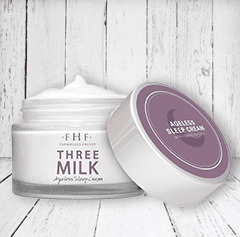 Three Milk Moisturizer calms my skin down and gives it what it needs. I'm sure the natural antibacterial properties are what helps clear the breakouts. The light moisture is perfect. Love this product so much! This is my go to daily moisturizer. I love everything Farmhouse Fresh! I love this moisturizer. It smells great & feels great on my skin! I just love it and recommend it to my friends. I love how ageless moisturizer feels! I've been using this product for 2 years now, because of early menopause, my face feels so dry, this product has helped my face feel smoother, no more patchy dryness. At first I thought this moisturizer was too light and not moisturizing enough. Long story short this lotion is perfect. I honestly couldn't be happier. I'm not oily, I'm well hydrated, and my skin hasn't looked this good in years! So happy I tried this product with the face wash! This moisturizer is amazing! My husband has been using it for 6 months now and won't use anything else. I have tried many moisturizers but this one tops all of them! I've literally used many, many low end to high end and they have ruined my skin but the minute I used this one it felt so much different. No chemical smell, feels so smooth and feels awesome on my skin. I love it and so does my skin! I can't wait to try other products from this company. I've tried tons of products and this is the best ever. Found out about FHF products 2 years ago from the salon I went to for my wedding day hair and makeup. Before FHF I had been using Neutrogena, and even though my skin didn't feel great, I didn't want to spend a fortune either. FHF was a total game changer and I've used their products ever since! The Three Milk Moisturizer is SO great! It leaves my skin dewy fresh and feeling wonderful! 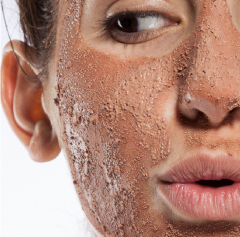 have oily skin and many moisturizers actually make that wise, but NOT this stuff. Since I've been using it, I've noticed better tone and texture. Love this stuff! I love this moisturizer. Great smell and feels great. I don't know what I would do without this product. It's the first and only moisturizer I've ever been able to find that makes my skin feel SO soft rather than oily. I've definitely had noticeable improvement with my skin tone as well. Absolutely love it, great for sensitive skin and smells really nice too! 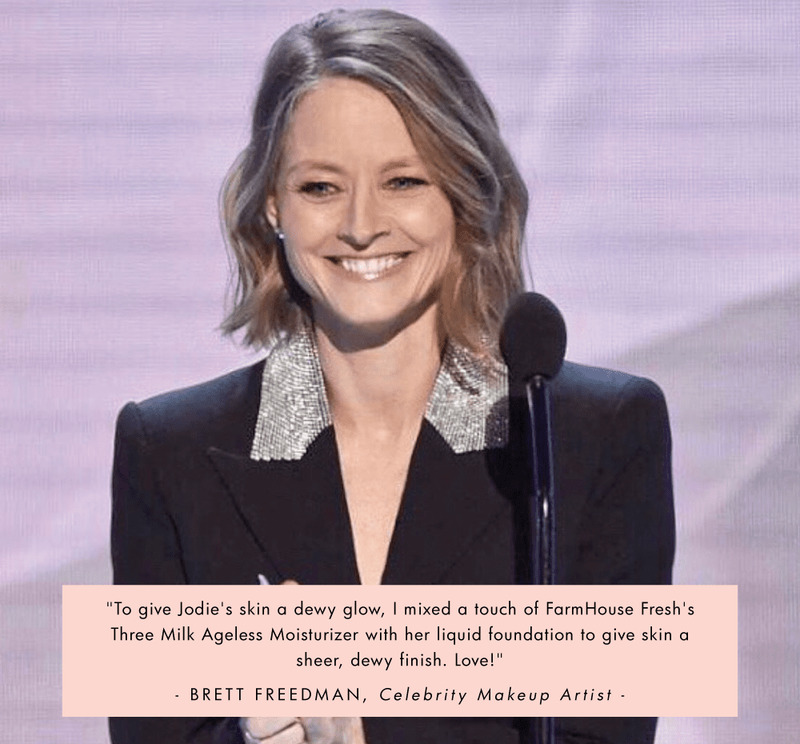 I have been using the Three Milk Ageless Moisturizer for about 2 years. My complexion has improved. I love it! I make sure I never run out! I love this moisturizer over any product I have ever tried. My skin has really never looks so good and clear my blemishes are gone!! Plus the smell is great. I've got sensitive skin and have struggled to find a good natural moisturizer that didn't trigger an allergic reaction for me. This works well and makes my skin feel so soft. I would recommend this in a heart beat! I love this product. I wear it every day both morning and night when I wash my face. It hydrates my skin perfectly and leaves my face feeling so smooth and fresh! I highly recommend as an every day moisturizer. I heard about these products through a co-worker. I decided to order this when I got a sample, and Oh my! My face has never been softer more creamy than it is now. My skin Glows!! I began using this moisturizer about 3 months ago. It is wonderful. At 56, I have tried many products and this is definitely the one I will be using forever. I use it in the morning and use the ageless night cream as well. I am a less is more product person. These products meet all needs...they work amazingly, they are naturally sourced in the USA, and the profits help rescue farm animals. No better combination. Never run out of this !!!! It is my DAILY go to! It is wonderful and I don't use any other Moisturizers except this. Then came the Chocolate Fig Vitamin Recovery Serum, how awesome is that ? Use it first, let dry, then use this Three Milk Ageless Moisturizer, AWESOME!!! Love it along with many of the others I purchase, use and give away all year long! Discovered this product this summer and loved it but was even more amazed by it when winter hit! It really protects my skin from the fierce winter elements. Love it morning and night! Try it ... you won't be disappointed! This mositurizer is by far my favorite thing in the world. It's a super light moisturizing cream that will leave your skin with an effortless glow. It last a very long time from about 2-3 months and it's also a very good nighttime moisturizer as well!!! It works for all skin types and don't be afraid to put on a toner before as well; benefits even more. I have been using this moisturizer for about 6 months now and absolutely love it. I'm 63 years old and have been using Clinique for more than 40 years as my skin is very sensitive. But, the 3 milk ageless moisturizer has made my skin better than ever! It lasts all day with or without makeup. 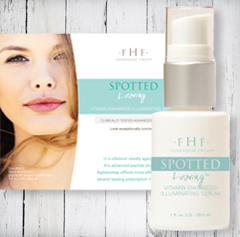 This is just one of the products from FHF that I use on a daily basis. I can honestly say I love them all. 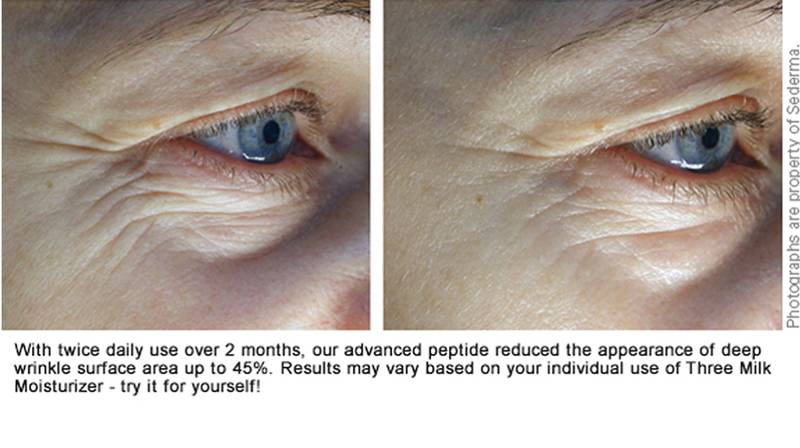 I have found the (almost) all natural ingredients have brightened and rejuvenated my 55 year old skin. Nothing I have tried in the past has had such an impact on my skin. It has been 10 months since I found FHF and I have been adding products to my regime on a monthly basis. My 28 and 25 year old daughters are getting products for Christmas as I want them to experience what these products can do. Actually, my Mom and sister are getting some too! I just love this product, use it everyday in am and evening. I also bought masks and night cream, the products are very good quality and I completely switched to their products. My skin looks great!